or the adjective that states a known fact ('tall skyscraper'). ... Most people's first drafts can be cut by 50 percent." See Section 3 (Clutter) from On Writing Well by William K. Zinsser. To strengthen background for my NaNoWriMo 2007 project, almost (!!) finished Unit Two (2) of Ancient Greek (a Teach Yourself Complete Course) by Gavin Betts and Alan Henry. To strengthen background for my NaNoWriMo 2007 project, finished as much as possible before returning to library: Pilgrims and pilgrimage in Ancient Greece by Matthew Dillon. To strengthen background for my NaNoWriMo 2007 project, bought the college text: From Alpha to Omega, An Introduction to Classical Greek by Anne H. Groton. To strengthen background for my NaNoWriMo 2007 project, finished Unit One (1) of Ancient Greek (a Teach Yourself Complete Course) by Gavin Betts and Alan Henry. Things that Fall from the Sky by Kevin Brockmeier. A collection of odd short stories, some of which display a suspicious interest of a man in a very young girl. Picked this up because his The Brief History of the Dead, one of the best books read in 2007. But this is a collection to avoid. The Best American Poetry: 2007, Guest Editor Heather McHugh. As good as The Best American Poetry: 2006, Guest Editor Billy Collins. As it was so great to hear this book a couple of year ago and the year before that, I listened to it all over again. It continues to hold up as the funniest and most creative of the many books by Terry Pratchett. Finished listening to Harry Potter and the Deathly Hallows (the 7th Harry Potter book) by J.K. Rowling, read (in an ok but not great way) by Jim Dale. To strengthen background for my NaNoWriMo 2007 project, finished It's Greek to Me by Michael Macrone: a light survey of phrases in modern English of Greek origin. Completed Duino Elegies translated by Stephen Mitchell. Completed The Foundations of Western Civilization: Part I by Thomas F.X. Nobel. Beginning With by Olga Broumas. Black Zodiac by Charles Wright. California Politics and Government by Larry N. Gerston and Terry Christensen. Don't Think of an Elephant! by George Lakoff. Gaia: An Atlas of Planet Management Ed. Norman Myers. The House in the Sand (prose poems) by Pablo Neruda. I Can't Go On, I'll Go On (a selection of the works of Samuel Beckett) Ed. Richard W. Seaver. Imperial Ambitions by Noam Chomsky. I would like George W. Bush to read this book, particularly for its questioning of his doctrine of preemptive war. Imperial America by Gore Vidal. Letters of Rainer Maria Rilke: 1892-1910 translated by Jane Bannard Greene and M.D. Herter Norton. Lives of a Cell: notes of a biology watcher by Lewis Thomas. Lying: Moral Choice in Public and Private Life by Sissela Bok. Defines a lie [p. 15] as "an intentionally deceptive message in the form of a statement". I would like George W. Bush to read this book. One Act: Eleven Short Plays of the Modern Theatre edited by Samuel Moon. Trustworthiness at the Personal Level. Trust at the Interpersonal level. Empowerment at the Managerial level. Alignment at the Organizational level. Begin with the end in mind, combining leadership and mission. Think WIN-WIN, seeking mutual benefit. Seek first to understand before seeking to be understood. "Sharpen the saw" through continuous improvement. Shoes Outside the Door by Michael Downing. The Star Thrower by Loren Eiseley. Sonnets to Orpheus translated by M.D. Herter Norton. Travel Writer's Handbook by Louise Purwin Zobel. Trekking in Tibet by Gary McCue. What is Found There: Notebooks on Poetry and Politics by Adrienne Rich. Completed as much as I can take of the anecdotes of horror in How Doctors Think by Jerome E. Groopman. This book is about misdiagnosis. clean the patient's skin with chlorhexidine antiseptic. put sterile drapes over the entire patient. wear a sterile mask, hat, gown, and gloves. By doing this at Johns Hopkins Hospital (Gawande reports) "the ten-day line-infection rate went from eleven percent to zero. ...for fifteen months ... in this one hospital, the checklist had prevented forty-three infections and eight deaths, and saved two million dollars in costs." Attributed to Dr. Terry Light. It is a window into the medical mind. It reveals why doctors fail to question their assumptions, why their thinking is sometimes closed or skewed, why they have gaps in their knowledge. putting [a patient] into a narrow frame and ignoring information that contradicts a fixed notion. Another study [no citation; may refer to a 2005 article by Mark Graber] of one hundred incorrect diagnoses found that inadequate medical knowledge was the reason for error in only four instances. As many as 15 percent of all diagnoses are inaccurate, according to a 1995 report [no citation] in which doctors assessed written descriptions of patients' symptoms and examined actors simulating patients with various diseases. These findings match classical research [no citation], based on autopsies, which shows that 10 percent to 15 percent of all diagnoses are wrong. Groopman's book essentially says that in order to perform, doctors employ pattern matching and heuristics (shortcuts), which help them function particularly when under time and emotional pressure. However, the snap into one of those patterns has often prevented a doctor from (a) listening to the patient, (b) understanding what the patient experiences, and (c) making the correct diagnosis. For that reason, specialists and second opinions are often valuable. Likewise, a patient is wise to recognition of when a doctor fails to listen and to change that doctor. On Friday, April 13, 2007, Groopman blooged: "I am in favor of improving the system primarily by honing the individual doctor's skills and my peer argues standardization of the medical process." While Groopman is What I have not seen in Groopman is numbers: how many diagnoses are made correctly by a standardized medical process? And how many iatrogenic illnesses are caused by failure to follow the directions, such as for correctly inserting an I.V? It would be an error to proclaim that such patterns should not be developed and used, however. In most cases, a physician arrives at the correct diagnosis and offers appropriate treatments. Use open-ended (rather than closed-ended) questions to move to all but the most obvious of diagnoses. Acknowledge and respond to the patients' emotions. "recognize and remember their mistakes and misjudgments, and incorporate those memories into their thinking. ... expertise is largely acquired not only by sustained practice but by receiving feedback that helps you understand your technical errors and misguided documentation." Avoid the "commission bias" of acting when no action is needed. Avoid premature "search satisfaction" (stopping searching for a diagnosis once they have identified one). Avoid "vertical-line thinking" (thinking 'inside the box'). Can I tell you how it felt, how it happened, and when it happened? Telling the story afresh can help you recall a vital bit of information that you forgot. Telling the story again may help the physician register some clue that was, in fact, said the first time but was overlooked or thought unimportant. This will [?might?] prompt him to look in new directions for answers. Can I tell you what I am the most afraid this is? Is there anything that does not fit? This especially applies to a diagnosis characterized as 'atypical'. Is it possible that I have more than one problem? Should some tests be repeated? What other specialists should I see? Completed reading the 2006 printed volume of the haiku journal The Heron's Nest (Volume VIII, Numbers 1 to 4, 2006), which includes two haiku by myself. Grooves: a Kind of Mystery by Kevin Brockmeier. Picked this up because his The Brief History of the Dead was so great. Grooves: a Kind of Mystery has some good puns ("The Happy Golden Days of Yor" being one of the best) and ideas, but it's a bit sweet ("twee?"). Nothing close to as good as Brockmeier's The Brief History of the Dead, one of the best books read in 2007. To strengthen background for my NaNoWriMo 2007 project, finished Magika Hiera: Ancient Greek Magic and Religion edited by Christopher A. Faraone and Dirk Obbink. It's a COMPLETELY sidetracking killer book on Ancient Greek "spells" -- sort of Harry Potter in Attica. I began with the "binding" spells, which were like preemptive full-body-binds against athlete competitors, legal competitors, love competitors, etc. Then there were curses from the dead. There are herbs, potions, and more! Jane Austen Book Club by Karen Joy Fowler. Best section is "The Response" (the final section), with comments upon Austen's novels from first publication (comments from her relatives and family friends) to the present. Simple Tonglen to recognize your pain and share that of others or to share your joy of the moment. The four stages of formal Tonglen practice. Finished dipping in to "Magazine/Journals" Section of 2008 Poet's Market by Nancy Breen, for return to library. To market, to market! Devoured (in five hours) The Almost Moon (2007) by Alice Sebold. The Almost Moon is demented and mysteriously consoling. The story concerns how and why the protagonist (as opposed to the author) murdered her aged mother. Sebold walks a delicate tightrope between the dreadfulness of some actions by the protagonist and the immense service that she has made of her life to mordantly help her mother/captor. 'Mother,' I said, calling her the name only I, as her sole child, had the right to call her. She looked up at me and smiled. The thing about dementia is that sometimes your feel like the afflicted person has a trip wire to the truth, as if they can see beneath the skin you hide in. 'Mother, it's Helen,' I said. 'I know who you are!' she barked at me. I stood there for a moment longer, until it felt like an established fact. She was my mother and I was her daughter. I thought we could go forward from this into our usual unpleasant encounter. I had never been able to do Jake's meditation exercises. I'd sit on the little round black pillow and try to om-out while my feet and hands went into prickly pins and needles. Inside my head, strange figures walked in and out as if my brain were a heavily frequented coffee shop. 'I think your mother is almost whole,' he said. I know I was supposed to understand something from my father's explanation, but what I came away with was that, just as we were stuck with the moon, so too we were stuck with my mother. Wherever I'd travel, there she'd be. I wanted to tell her [the mother] that in terms of mystique, she'd won the lottery ... her mystique was bulletproof, even if it was more about being creepy and strange than unattainable. My mother was scheduled for an MRI and was deathly afraid. For weeks beforehand, I had arrived to find her lying on the floor of the living room with a ticking alarm clock by her head. 'What are you doing?' I'd ask her. 'Practicing,' she'd say. See also The Lovely Bones, Sebold's amazing first novel (one of the best books read in 2006). Finished listening to the CD recording of The Brief History of the Dead (2006) by Kevin Brockmeier. Fascinating story of "how it all ends". Concerns the limbo where the dead live as long as someone is alive that remembers them ... and what happens when only three then two people then one person remains alive. It is one of the best books read in 2007. Wonderfully read by the phenomenally brilliant Richard Poe, whom I've heard read Chuck Palahniuk's Lullaby, John Steinbeck's East of Eden, Jane Smiley's Good Faith, and several books by DeLillo. Read the Tintin book Tintin in Tibet by Hergé. Read the Tintin book The Red Sea Sharks by Hergé. Read the Tintin book The Calculus Affair by Hergé. Finished Rant by Chuck Palahniuk. Initially, in addition to being excessively disgusting in that quintessential Palahniuk mode, it commits a worse sin: it is slow. I began this in October, and felt no loss in setting it aside for November. Today, as I start to dig out from NaNoWriMo 2007 project, I decided to finish it, even if I could only handle it at speed-reading pace. "Picture time less like a river than a book ... already done and complete." "Picture time travel as nothing more than knocking your half-read book to the floor and losing your place. You pick up the book and open the pages to a scene too early or too later, but never exactly where you've been reading." human-god transformation: see for example p. 265 of hardback first edition. "means you flashback to breed a better you." "means you slaughter some ancestor to make sure you'll never be born." For anything approaching explanations of other things, like Boosting, Reverse Pioneering, the Historians, and Party Crashing, you just have to read the whole book. The multiple (50 or so) narrators with their different perceptions of truth, and still greater differences in their perceptions of the truths they want to communicate, turn out to be fairly interesting. Initially it gives the book a Russian novel aura of "who are all these people?" Part of the reason for that confusion is that the voices are not on the whole distinguishable: I had to checking who was speaking. This book is relevant to my NaNoWriMo 2007 project, which also uses multiple (though not as many) voices ... and tries to separate them. Even so, it won't approach the splendor of Lullaby. Fugitives and Refugees: A Walk in Portland Oregon (nonfiction). Haunted: a novel of stories (fiction). Stranger than Fiction: True Stories (nonfiction). To strengthen background for my NaNoWriMo 2007 project, finished Prometheus Bound by Aeschylus. Read Lilliput Review Issue 159 (November 2007). Read Lilliput Review Issue 157 (August 2007). To strengthen background for my NaNoWriMo 2007 project, finished Step into Ancient Greece by Richard Tames. Finished listening to the excellent epic of immigration, assimilation, and modern social history of the USA: Middlesex by Jeffrey Eugenides, beautifully read in full by Kristoffer Tabori. And the immigrants are twentieth-century Greeks, so in some way even this can strengthen background of my NaNoWriMo 2007 project. Finished dipping in to the informative Dante: A Life in Works by Robert Hollander. To strengthen background for my NaNoWriMo 2007 project, read The Ancient Greek Olympics by Richard Woff. To strengthen background for my NaNoWriMo 2007 project, read Life in Ancient Greece by Pierre Miquel. The brightly colored illustrations by Pierre Probst are delightful, particularly with the emotions and attentions that they show. Skimmed The Canon: a Whirligig Tour of the Beautiful Basics of Science by Natalie Angier. ... until it became too irritatingly and bouncily cheerful. Reader's Digest-type jokes (bad puns). To strengthen background of project for NaNoWriMo 2007, read the chapter on Ancient Greece and skimmed the rest of Ancient Medicine: from Sorcery to Surgery by Michael Woods and Mary B. Woods. Listened to S is for Silence (2005) by Sue Grafton. To strengthen background of project for NaNoWriMo 2007, skimmed Elementary Greek: an introduction to the study of Attic Greek by Theodore C. Burgess. Read the Tintin book Explorers on the Moon by Hergé. Read the Tintin book Destination Moon by Hergé. Read the Tintin book Land of Black Gold by Hergé. Read the Fall/Winter 2007 issue of Moonset: the newspaper, 48 pages jammed with haiku, tanka, haiga, and haibun. Skimmed the too-cool Mutations: Rem Koolhaas, Harvard Project on the City brimming with bold colors presenting data on the current rampage of city growth and essays by apparently very hip change-addicted young things on the role of architecture in the building of the new megopalies. [In China] Financial aspects determine the height of the building or the change in program. Changes are sometimes radical: an office becomes a hospital half-way through construction. ... The beauty of the system is that Chinese architecture is never final, but in permanent conversion. There is no ultimate condition, only mutation from one condition to the other. I would like to suggest to my European colleagues that this is also going to happen here very soon, and our illusion that architecture will ever reach finality will probably evaporate in the next 20 years. In that sense, there is a mysterious, almost sinister quality of premonition and prognosis going on here. ... In Shenzen there are rice fields and then, without any intermediate condition, the metropolis. The juxtaposition could be described as horrifying but it is also extremely luxurious in the sense that two habitually autonomous situations can coexist in a single system. Finished listening to The Story of Philosophy: Volume 2 by Will Durant. The irritatingly prissy tone is due to both Durant's wording and Gardner's cadences. Malcolm Gladwell's The New Yorker (12 November 2007 pp. 36-45) article "Dangerous Minds: Criminal Profiling Made Easy". "The FBI's approach to criminal profiling ... was so full of unverifiable and contradictory and ambiguous language that it could support virtually any interpretation." Read Eucalypt, A Tanka Journal, issue #3. Read the Tintin book Prisoners of the Sun by Hergé. Read the Tintin book The Seven Crystal Balls by Hergé. To strengthen background of project for NaNoWriMo 2007, read the chapters about Greek in Our Greek and Latin Roots by James Morwood and Mark Warman. Read the Tintin book Red Rackham's Treasure by Hergé. by Hadoram Shirihai and Brett Jarrett. Jason Guriel's "Money is Also a Kind of Music"
Fleda Brown's "From 'The Next Clause'": three pairs of quatrains for FOR, OR, and NOR. Neko Case's riff on "My flaming hamster wheel of panic about publicly discussing poetry in this respected forum"
John Ridland's letters praising and augmenting the earlier (Poetry this September) review by Kay Ryan's "I Demand to Speak With God", of The Notebooks of Robert Frost edited by Robert Faggen. Read the Tintin book The Secret of the Unicorn by Hergé. Read the Tintin book The Shooting Star by Hergé. Read the Tintin book The Crab with the Golden Claws by Hergé. There may be NaNoWriMo 2007 status. Book Blog will be quiet in November. based on the work of William Blake. Finished A False Sense of Well Being by Jeanne Braselton. A woman's quest to discover why she is so miserable in her marriage and how other women cope with marriages that they don't want. Interesting plot and characters (mainly women) that deepen and enrich as the novel develops. I'd like to have read more books by Braselton and am sad that she died so soon after acclaim built up for her due to this book. Finished A Wild Sheep Chase, said to be an "extraordinary literary thriller" by Haruki Murakami. It seems very slow, slightly surreal, and pretentious (or self-conscious) in its dips into paradoxes. Seems inconsistently preoccupied with house cleaning, and weirdly repetitious, which serves primarily as bloating. The first quarter could have been mostly deleted, and the remainder would also benefit from cutting. 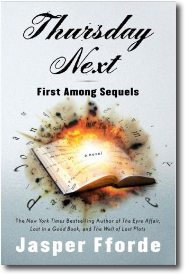 If you want fantasy, and especially if you want fantasy with excellent humor and some unpretentious thoughts about time paradoxes, then read Thursday Next in First Among Sequels. or anything else by Jasper Fforde. Read some of the first and last pages of Kafka on the Shore by Haruki Murakami. Too boring to read more. Murakami is better (imho) at short stories, particularly After the Quake: Stories. Finished the Thursday Next in First Among Sequels by Jasper Fforde. This one almost reaches the brilliance of (2003) The Well of Lost Plots. Comments on Thursday Next in First Among Sequels by Jasper Fforde. Finished Spring-Summer 2007 Copper Canyon Press Report. Ted Kooser's "Bank Fishing for Bluegills" from his book Delights and Shadows. Ruth Stone's "Interim" from her book In the Dark. James Laughlin's "Poets" from his book The Bird of Endless Time. David Budbill's "Bugs in a Bowl" from his book Moment to Moment. Read Varieties of Disturbances (2007) more short and sometimes minuscule stories of the neurotic by Lydia Davis, author of the even more weird Almost No Memory. Completed using Eye of the Albatross: Visions of Hope and Survival by Carl Safina. Completed using The Sibley Guide to Bird Life & Behavior (2001) illustrated by David Allen Sibley; edited by Chris Elphick, John B. Dunning, Jr., and David Allen Sibley. A superb reference. See especially the discussion about bird Classification Schemes and DNA-DNA hybridization. 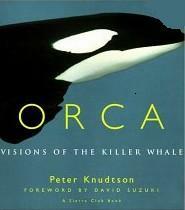 Completed Orca: Visions of the Killer Whale (1996) by Peter Knudsen. 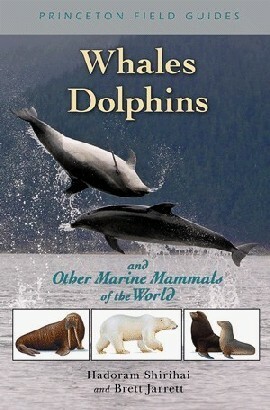 Completed using The Pinnipeds: Seals, Sea Lions, and Walruses (1990) by Marianne Riedman. How nostalgic! A peaceful few hours curled on the couch with a sweet old spy novel. While the twists and turns of the plot are sometimes unconvincing, it's a good change to read a page-turner like this, especially after yesterday's struggle. "You sit in here and get broody,"	he accused me. ...	"You think I take your money and then don't give a damn." "Is that your legal training that makes you so perceptive?" I said. "Or have you got second sight?" A collection of short and short-short stories. The shorter, the better. In autumn of 2003 she was 1 of 25 to get a MacArthur Foundation ("Genius") award, which indicates that her highly praised work might be a little, um, odd. The voice of the work is a little depressed and obsessively ruminative: like a somber Bridget Jones on downers. Or R.D. Laing. Favorites include "A Natural Disaster" [pp. 43-44] and "Trying to Learn" [p.82] and "How He is Often Right" [p. 147]. Finished A Long Rainy Season: Haiku and Tanka, a compilation of haiku, by six modern Japanese women tanka, by eight modern Japanese women; translated and edited Leza Lowitz, Miyuki Aoyama, and Akemi Tomioka. More professional and powerful than the also-interesting Sounds from the Unknown (a collection of tanka by Japanese-Americans); translated and edited Lucille M. Nixon and Tomoe Tana. See also her other side river (1995), volume two in contemporary japanese women's poetry, containing free verse. Congratulations to Anne Enright (b. 1962) for winning (today!) the 2007 Man Booker Prize. The Man Booker folks call her book "Exhilaratingly bleak". Enright is the second Irish woman to win, the first being Iris Murdoch, who won the 1978 Booker Prize. Sea Kayaking Safety and Rescue by John Lull. Excellent background on Glass's musical education, on-the-job training with Ravi Shankar, and operas collaborations. Read the Tintin book Blue Lotus by Hergé. Read the Tintin book Cigars of the Pharaoh by Hergé. Read the Tintin book Tintin in America by Hergé. Completed The lives and works of the English Romantic poets: Part II by Willard Spiegelman. Manufactured Landscapes: the Photographs of Edward Burtynsky edited by Lori Pauli. Attended West Coast premier of Philip Glass's setting of poems from The Book of Longing. Book of Longing by Leonard Cohen. Completed Kayaking by Cecil Kuhne. Read The Virgin Suicides (1993) by Jeffrey Eugenides. Completed The lives and works of the English Romantic poets: Part I by Willard Spiegelman. Read The Fourth Bear: a Nursery Crime (2006) by Jasper Fforde. Lost in a Good Book: a Thursday Next novel (2002). The Well of Lost Plots: a Thursday Next novel (2003). The Fourth Bear: a Nursery Crime (2006). The Big Over Easy (2005). The Cleft (2007) by Doris Lessing, who has been short-listed on three different years for the Booker Prize. This was an interesting attempt at myth-making, but unconvincing. Its main problem is the superficiality of the characters and a frequent refrain in this reader's mind of "unlikely" on their actions. This book compares especially unfavorably with those of Jim Crace, a brilliant maker of both modern and ancient myths. See for example, The Gift of Stones. Finished listening to CD (unabridged) of A Short History of World War I by James L. Stokesbury.